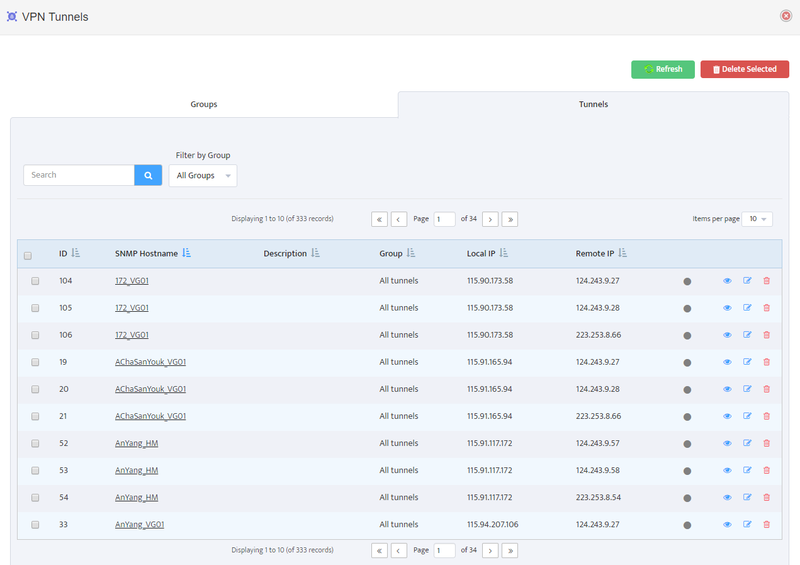 Often when a network device or interface changes its state between Up and Down multiple times in a short time interval, numerous identical alerts will be sent to all the configured alert recipients. Nectus offers the ability to suppress frequent identical alerts to reduce informational noise level by specifying a suppression timer for up to three hours. Nectus calculates a CRC hash value from each of the email alert bodies and if hash values of two alerts are matching they are considered to be identical and can be suppressed. Nectus excludes event timer values and specific metric values from hash calculation logic. You can configure the suppression timer from 0 to 180 minutes where 0 means no suppression. Under Monitoring Settings, select the Alerts tab. To enable suppression specify a time interval from 1 to 180 minutes. At the end of the time interval, alert logic will resume as normal. Setting timer to 0 will disable the suppression. 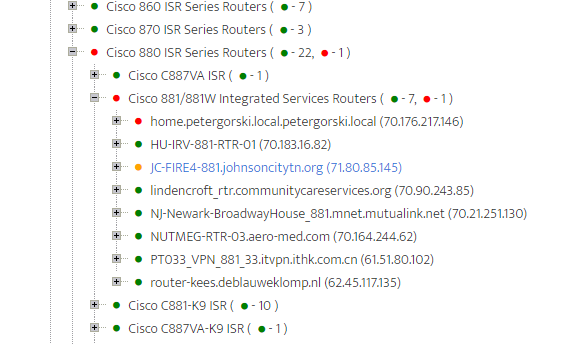 When Nectus is configured to monitor UP/DOWN Status for network devices with ICMP it sends Echo packets at preset interval called Inter-Packet Delay. By default, this Interval is set to 10 seconds. Network Device is considered down if Echo-Reply is not received for “N” consecutive Echo packets. By default “N” is set to 10. So, by combining Inter-Packet Delay and “N” Value we can see that minimum duration of the outage that can be detected by Nectus with default settings is 100 seconds. Sometimes when network a prone to fast transient outages or burstable traffic patterns that can impact ICMP it may be beneficial to increase minimum detectable ICMP outage duration to higher value. 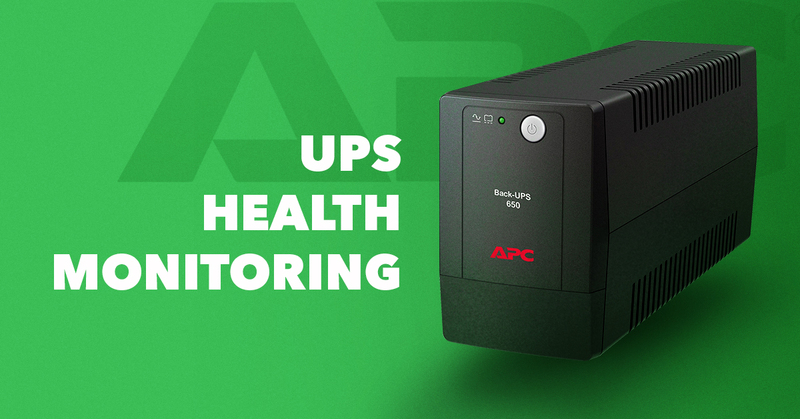 This can helps to eliminate alerts about short lived outages and only alert on outages that have more lasting impact. 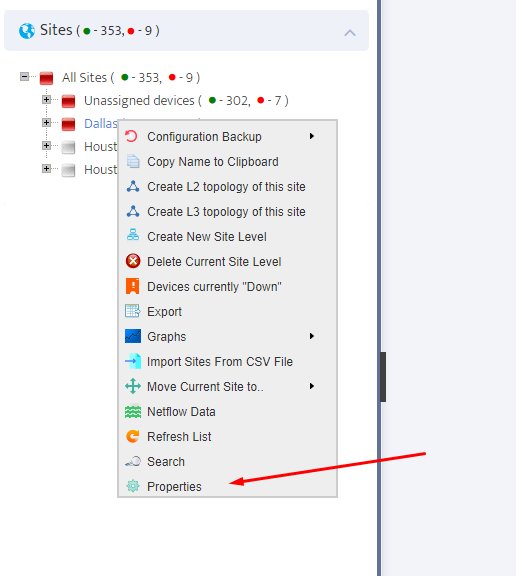 And adjust values on “ICMP Monitoring” Tab according to your business needs. Very often during site level power or network outages or during network maintenance multiple devices become offline at the same time causing multiple individual DOWN Email alerts to be sent at the same time. Depending in the size of the site it can be well over hundreds or even thousands alert emails to be sent out to corresponding e-mail recipients configured for given site. 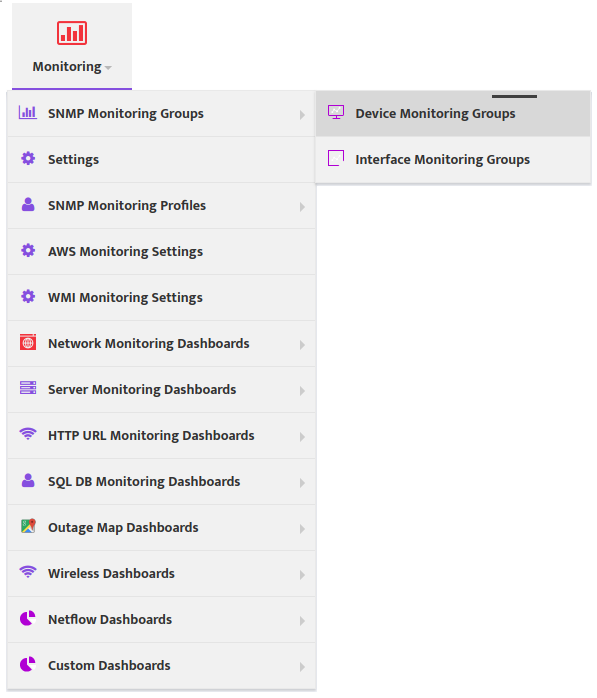 Starting from version 1.2.52 Nectus offers an option to aggregate multiple DOWN or UP email alerts into a single multi-device alert notification containing a list of all devices that became DOWN or UP within last monitoring interval. 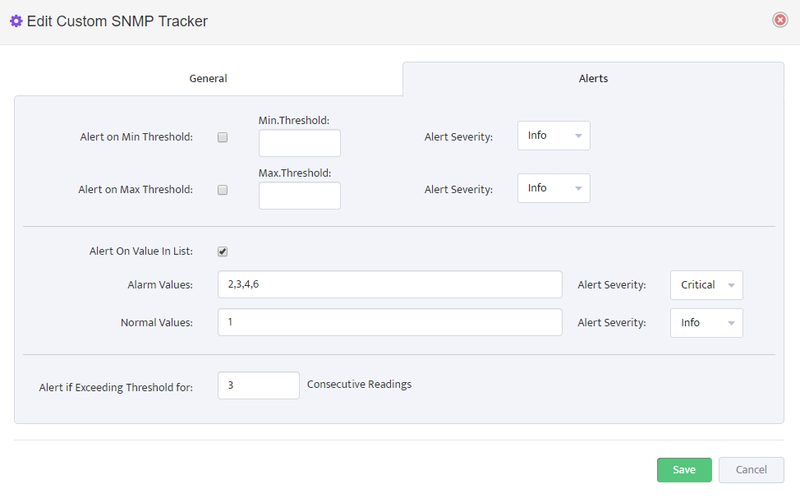 And Select “Aggregate multiple UP/DOWN Alerts” Option. 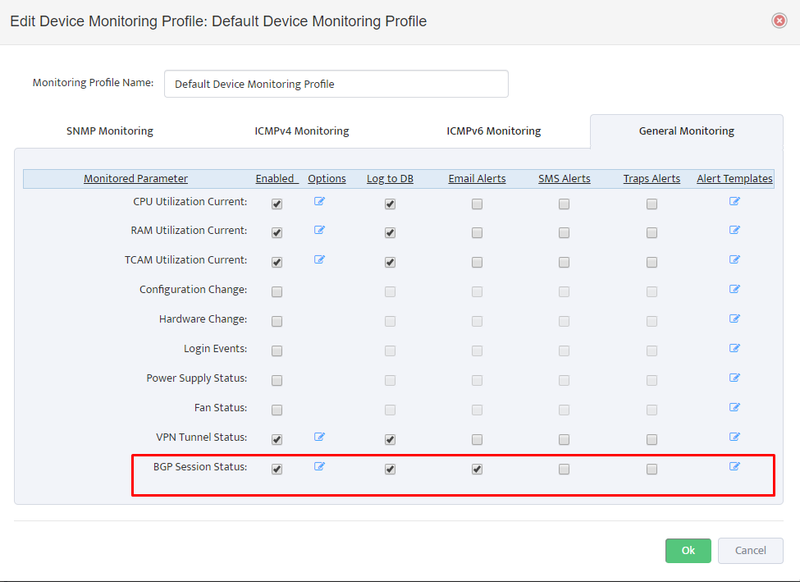 Very first step before you can start monitoring power supply status is to determine which SNMP OID is supported by specific router or switch type you want to monitor. 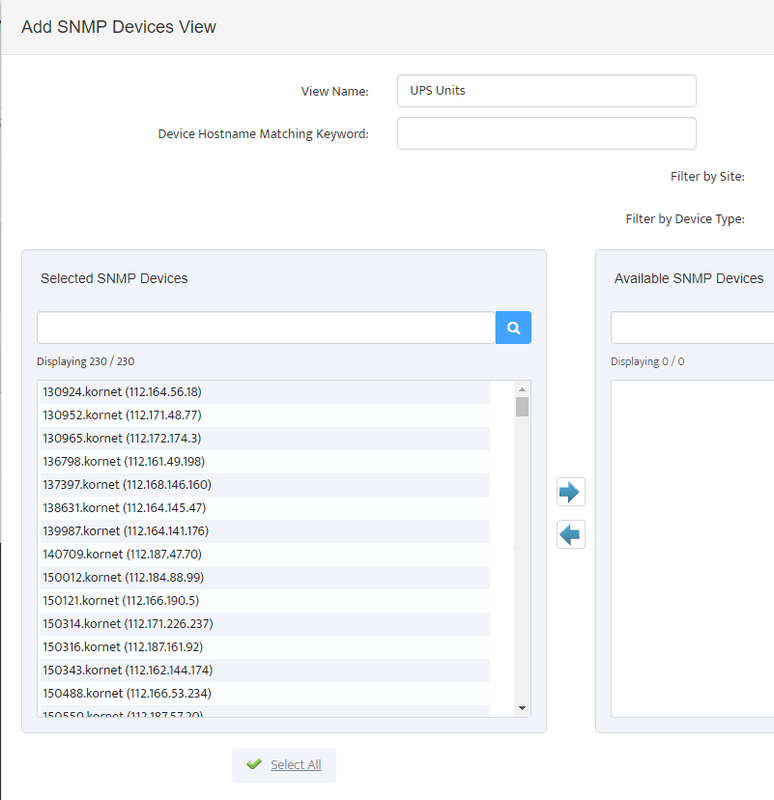 The main challenge here is that there is no consensus among manufacturers on specific SNMP OID and even within Cisco products OID can be different on different product lines. Let’s take Cisco Catalyst 3750 series switches as an example. Cisco TAC is usually a good resource to confirm which OID can be used for different Cisco product lines. 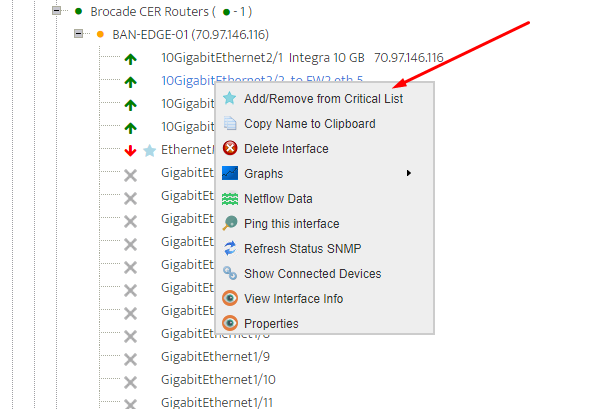 Next step is to perform SNMP GET BULK or SNMP Walk query for selected OID (.1.3.6.1.4.1.9.9.13.1.5.1.3) against one of the switches that you planning to monitor to determine how many power supplies this specific switch model has and what are the index values for each power supply. In this SNMP GET-BULK response we see that switch has two power supplies with indexes: 1034 and 2034. Last step before we can start monitoring power supply is to consult MIB for possible values that this specific OID can report for power supply status. 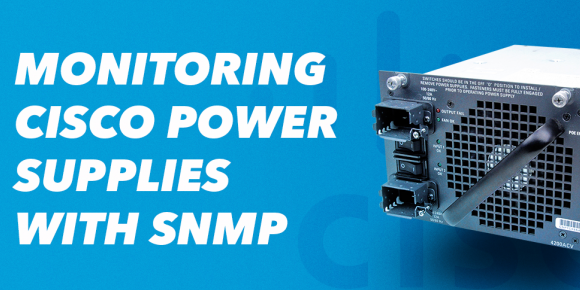 Now we are ready to create custom SNMP trackers for each of the power supplies. 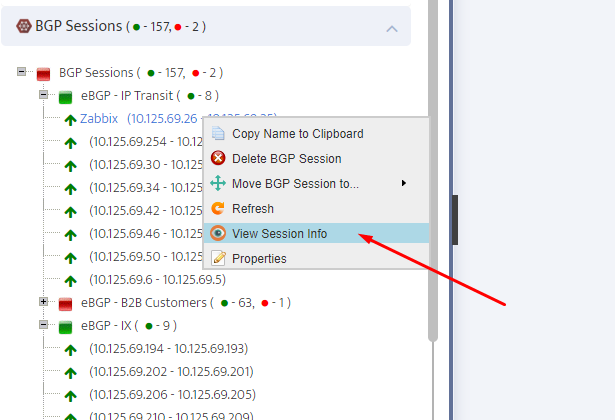 Press “Create” button to bring up Custom SNMP Tracer creation interface. We will have to create two separate trackers, one for each power supply. 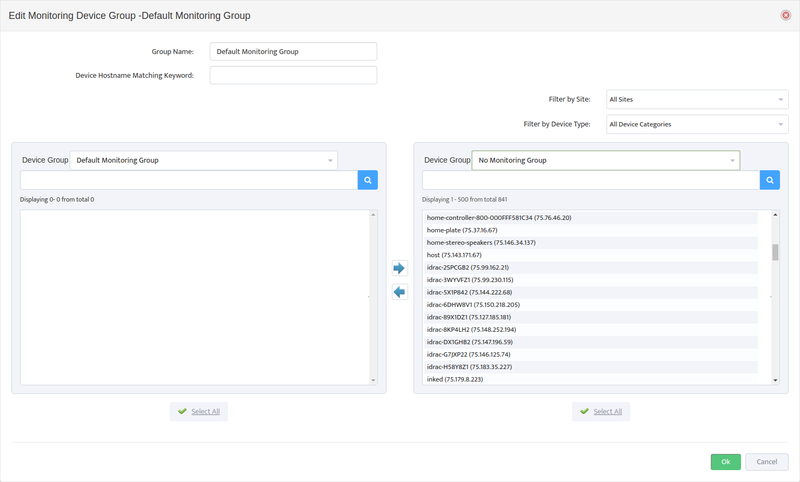 Note that for this tracker we created a device view called “Cisco Catalyst 3700 Switches” that contain all Cisco Catalyst 3700 Series switches that we want to monitor with this tracker. 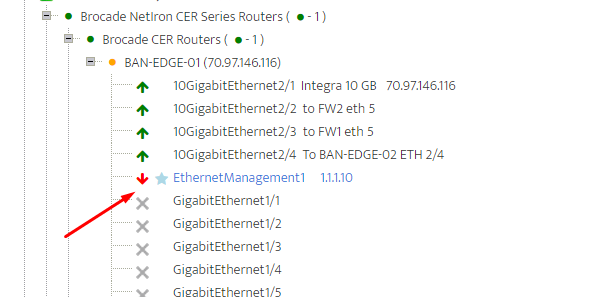 If you want to enable Power supply monitoring for more switches later, you just need to add new switches to this Device View. Select which email lists will be used as email Alert recipients. 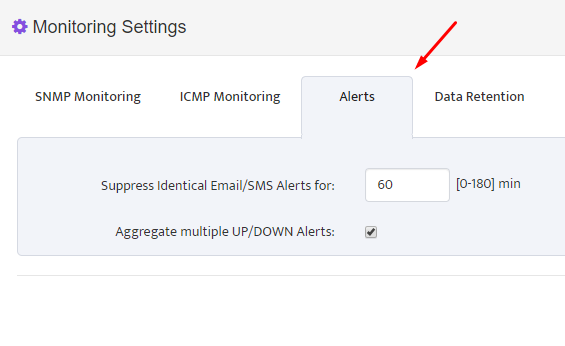 In “Alerts” Tab we need to specify which status values will be considered Normal and which values should trigger Alerts. You can specify multiple values separated by comma. Define number of consecutive readings for which power supply status has to report an Alarm condition before formal Alert is created. 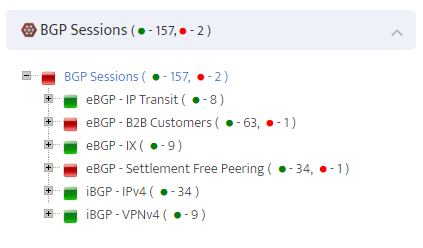 Nectus performs one SNMP poll per 5 min. So if you define value for consecutive readings as 3 it should result in Alert created after 15 minutes of True Alarm conditions. 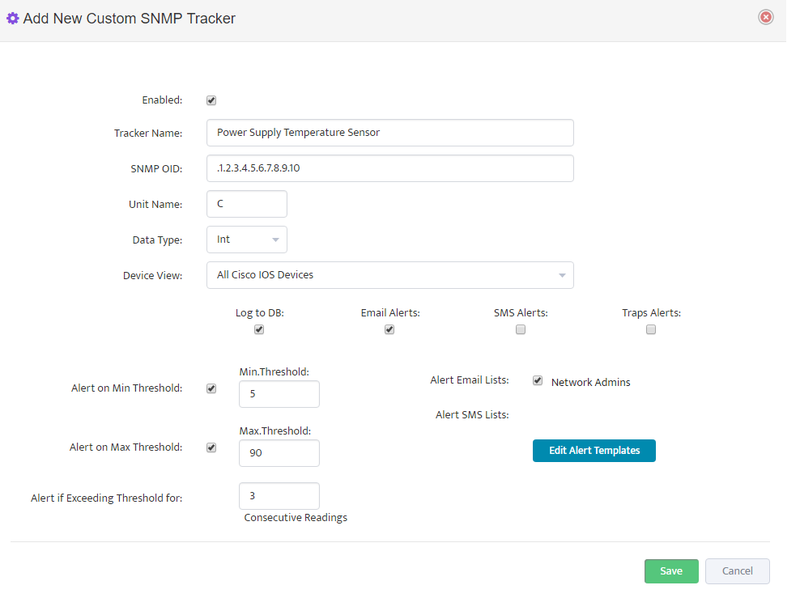 Press “Save” to complete Custom SNMP tracker creation for Power Supply 1. Repeat the same process for Power Supply 2. 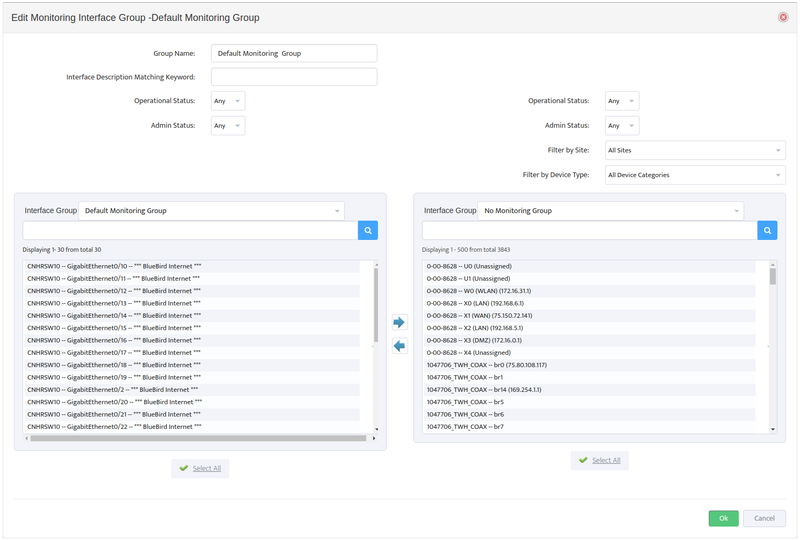 Now you have created custom trackers that will be monitoring both power supplies on all Cisco Catalyst 3700 Switches in your network. When whole site power outage or network maintenance is in progress it is default behavior for Nectus to send individual DOWN alerts for each device in that site possibly resulting in hundreds of DOWN e-mail alerts followed by the same amount of UP e-mail alerts sent out to all configured alert recipients. If all the Gateways in given site are DOWN, Nectus will not send DOWN alerts for regular devices located in the same site. If at least one Gateway in given site is still UP then Nectus will send individual DOWN alerts for all of the devices detected as DOWN. 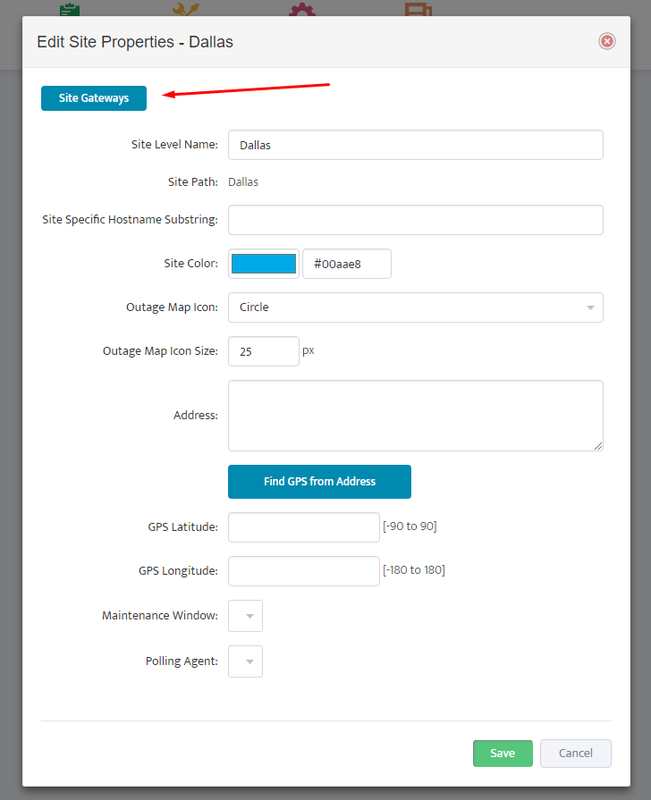 If all the Gateways in given site recovered from DOWN to UP, Nectus will not send UP alerts for regular devices located in the same site. If at least one Gateway in given site is still DOWN then Nectus will send individual UP alerts for all of the devices detected as UP. 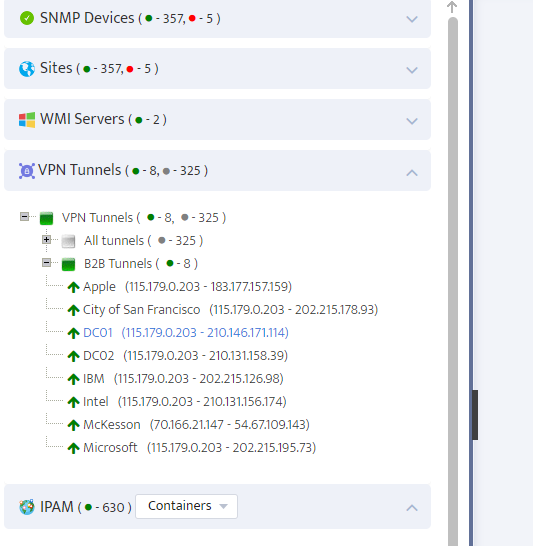 Nectus offers extensive SNMP based network monitoring capabilities that allow users to track any metrics accessible via SNMP. 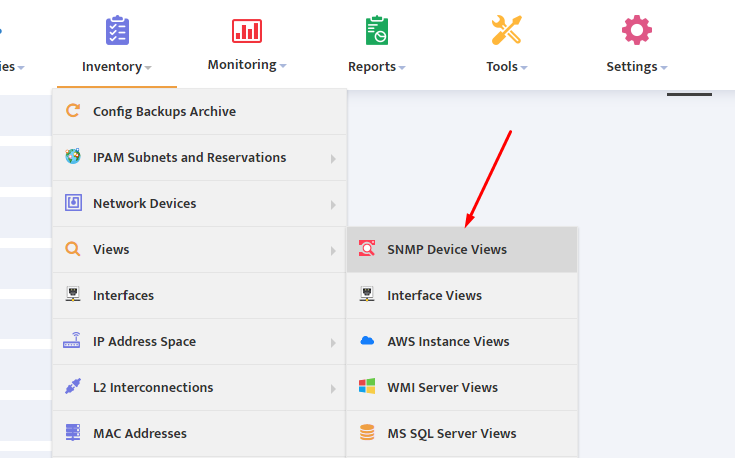 In addition to standard metrics, such as CPU, RAM or TCAM utilization, Nectus offers a new feature called “Custom SNMP Tracker” that allows you to monitor virtually any metrics accessible via SNMP. 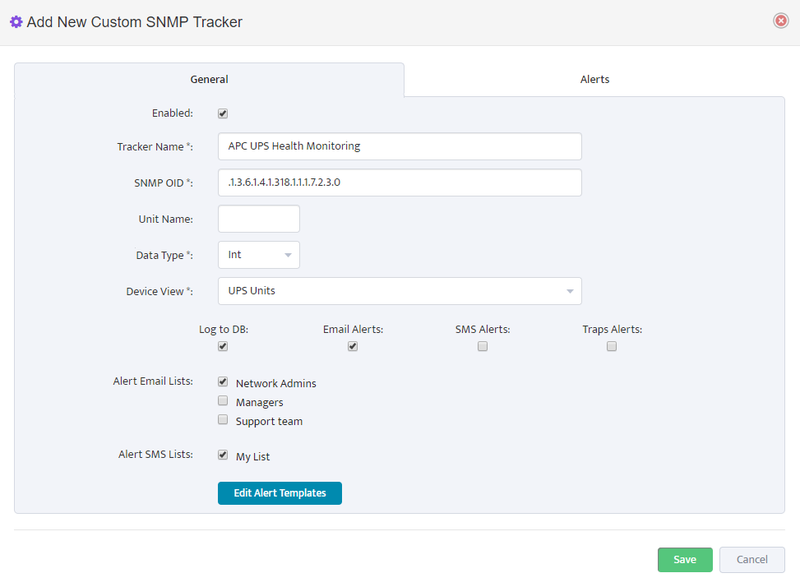 This article will guide you through the basic steps required for setting up custom SNMP trackers in Nectus. In the Main Menu, go to Monitoring → SNMP Monitoring Settings → Custom SNMP Trackers. 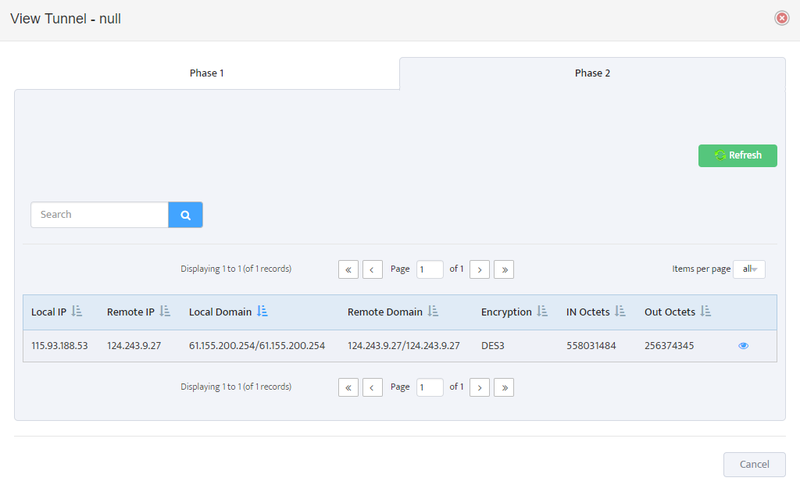 This opens a “Custom SNMP Trackers” window. 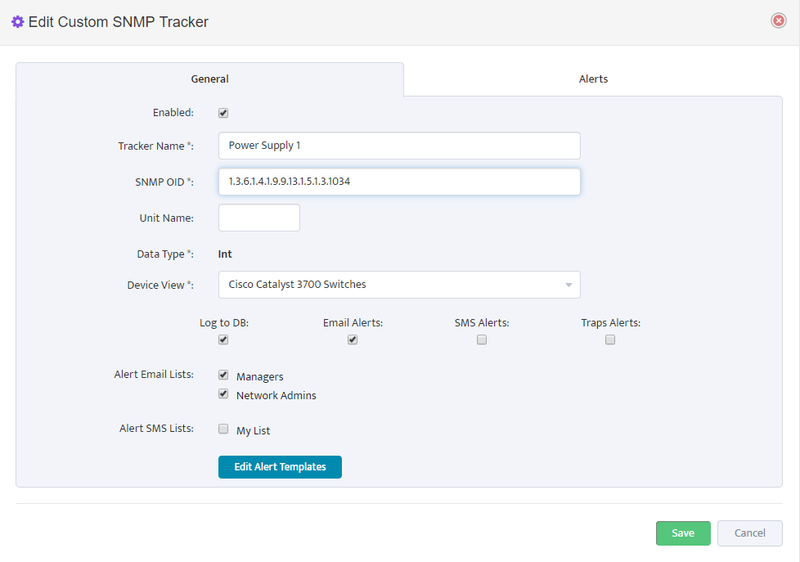 To create a new custom SNMP Tracker, click the Add Tracker button. Select one of the existing email lists/groups to receive the alerts (Example: “Network Admins”). 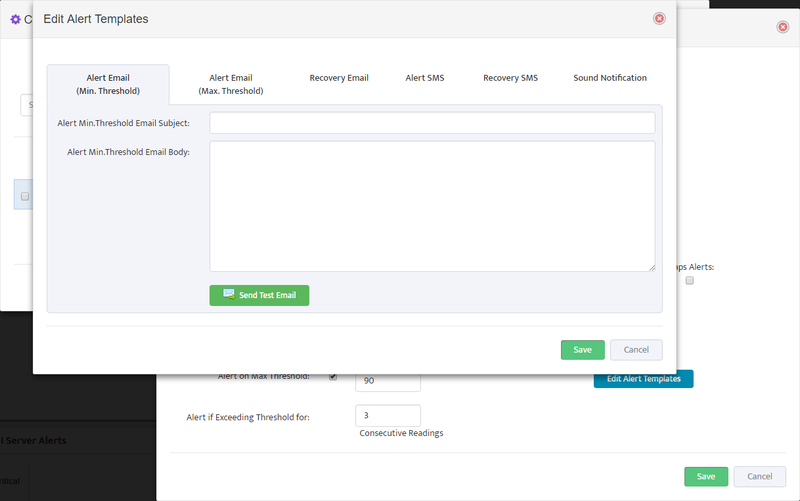 Customize the E-mail template for Alert and for Recovery event when Metric value returns to normal range. 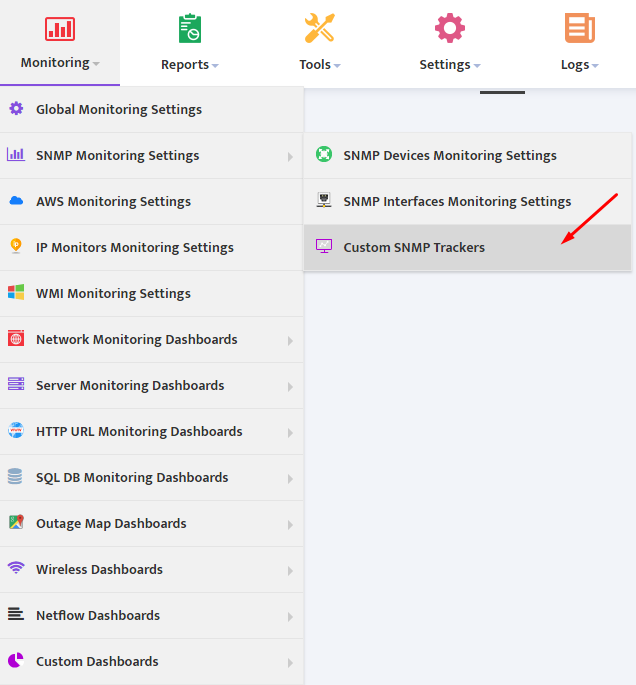 You have now created your first custom SNMP tracker. 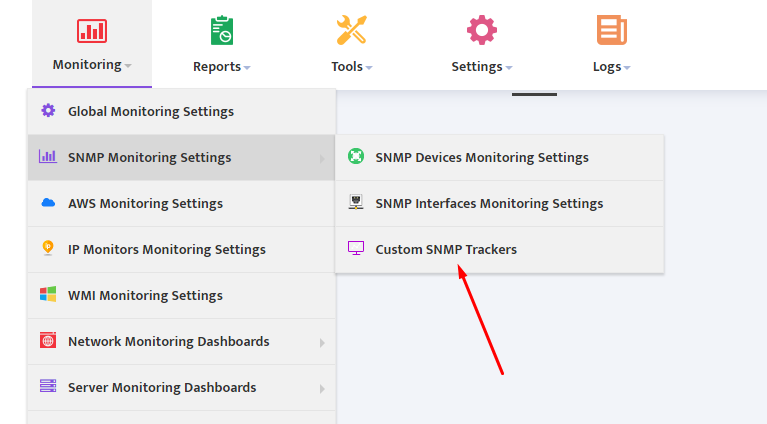 To create additional trackers, use “Clone” feature to create and edit a copy of an existing tracker available from the “Custom SNMP Trackers” page. 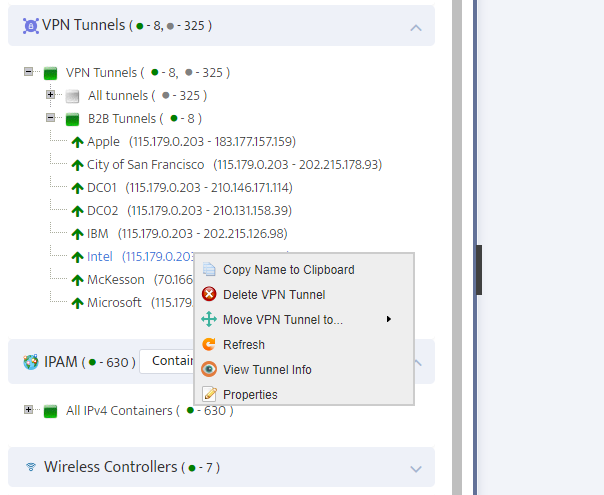 One of the key features introduced in Nectus 1.2.51 is ability to automatically discover and monitor Cisco IPSec VPN Tunnels terminated on ASA Firewalls and regular IOS routers. 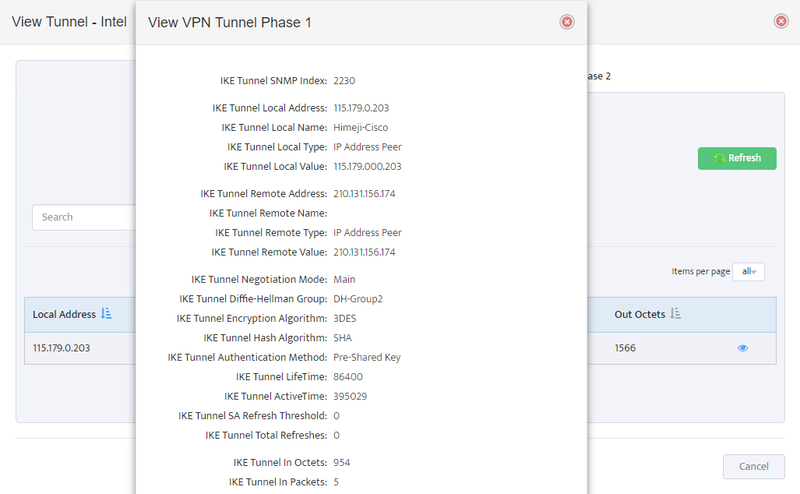 All discovered tunnels displayed as a table with Terminating Device, Group, Local and Remote IP Address visible in individual columns. You can assign a human friendly name to each tunnel by pressing Tunnel Edit button on the right. Each Tunnel must be assigned to an individual group with newly discovered Tunnels being automatically assigned to a group with “Default” parameter set to On. User can create multiple different groups and group tunnels in any way that is appropriate. 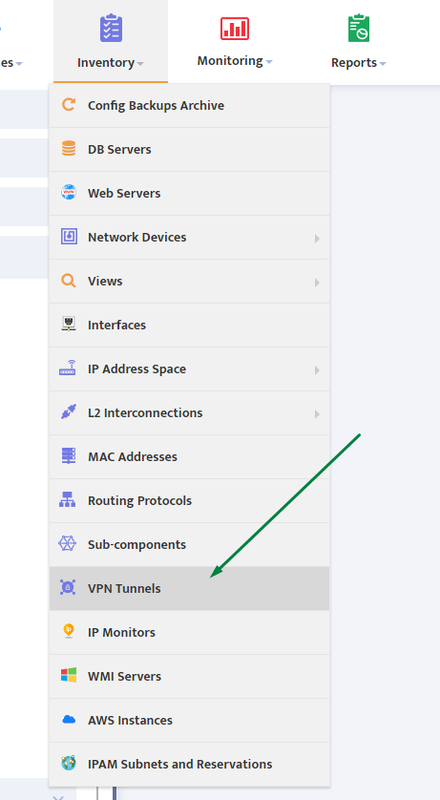 User can change Tunnel-to-Group assignment by using context menu or by using “Edit VPN Tunnel” button. 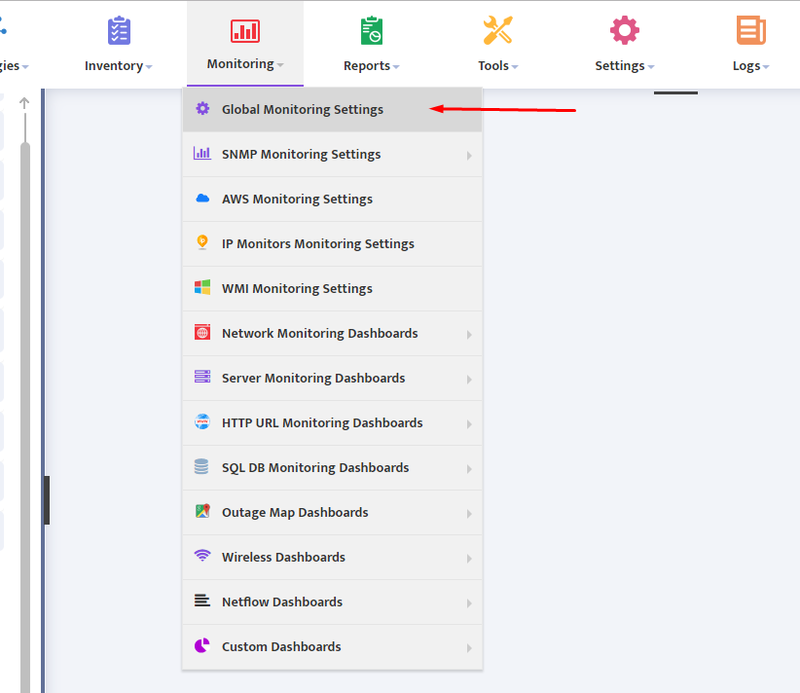 After “Enable Monitoring” flag is set to ON, Nectus starts checking Tunnel’s status every 5 min and creating records in Alert log along with sending Alert emails in case if Tunnel is down. View Tunnel’s Phase 1 and Phase 2 Information. 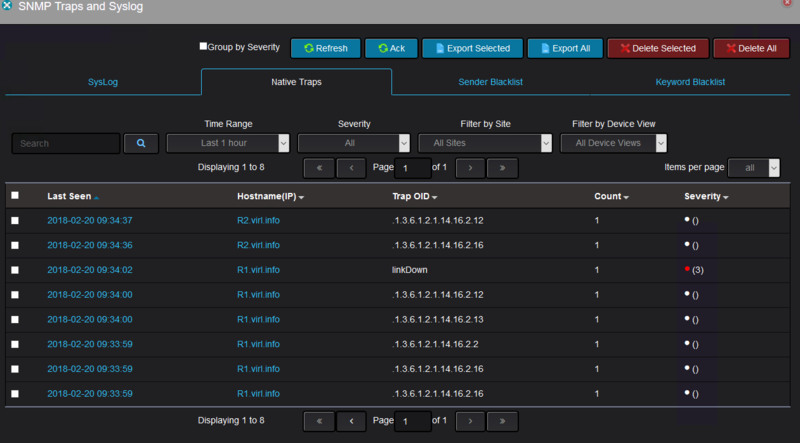 Nectus uses different colors to encode SNMP Device Status in Dashboards, Trees and Status Panels. There are three main color codes: Green, Red and Orange. Green Color represent SNMP Device status when it is reachable by ICMP Probe and don’t have any critical interfaces Down. Red Color represent SNMP Device status when it is not responding to ICMP Probe. 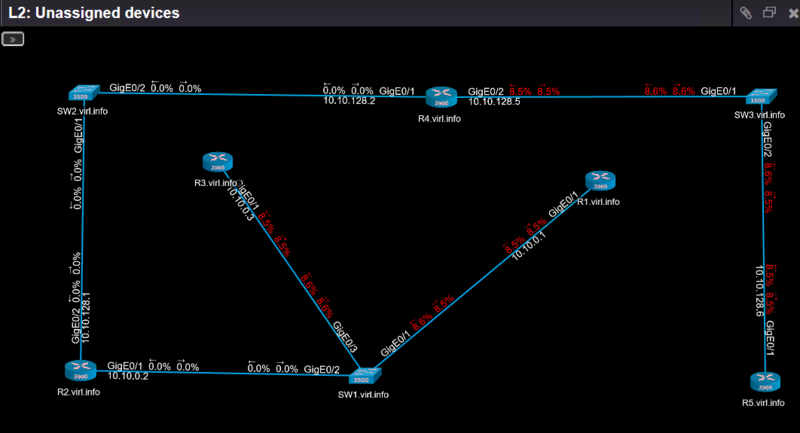 Orange Color represent SNMP Device that is reachable via ICMP but has at least one critical Interface down. 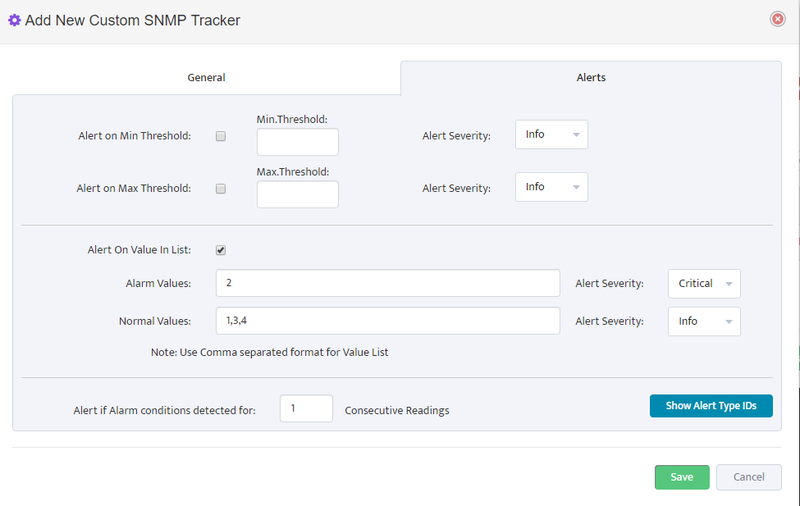 List of system variables that can be used in Alert emails for SNMP Devices and Interfaces (Version 2.48, January 2019). More system variables will be added in next releases. 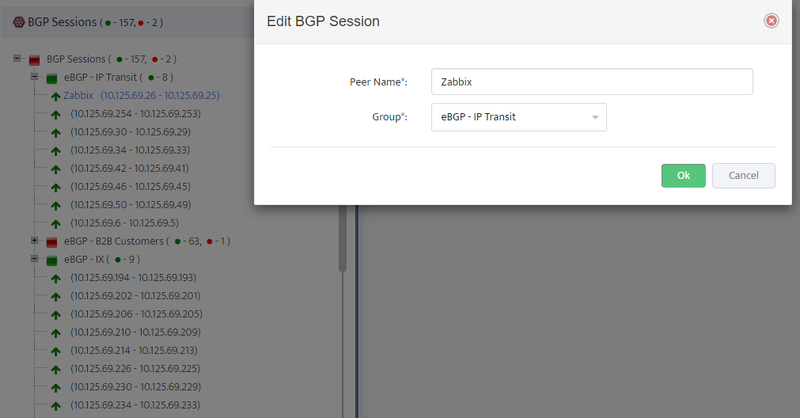 One of the first steps that we normally perform during POC is timer tuning for ICMP and SNMP for Discovery and Monitoring services. 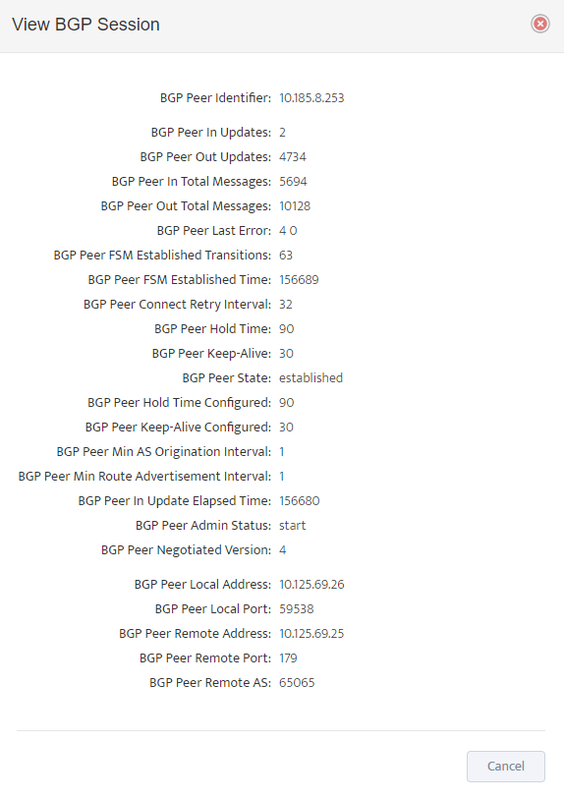 for example 100 ms Timeoute with 2 Retries for ICMP is normally sufficient. 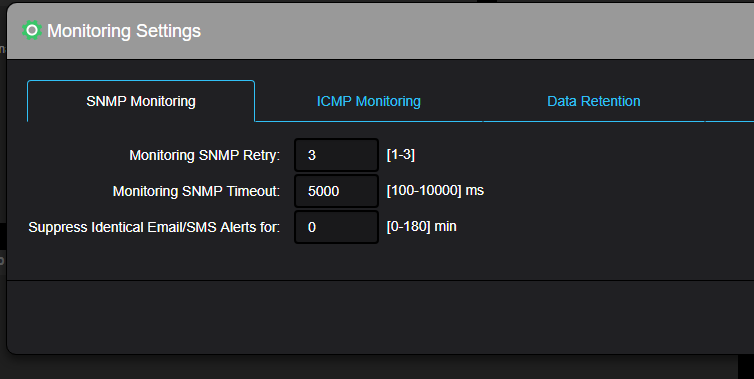 SNMP timer for Discovery have typical values of 1000ms and 1 retry. 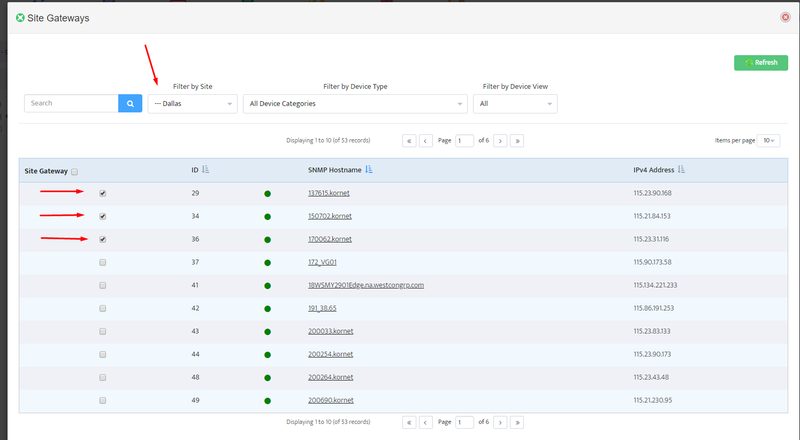 Aggressive Discovery timers also reduces amount of traffic being generated and make discovery jobs run faster. to respond and timers has to be tuned to maximum wait time with ICMP timers as high as 300ms and SNMP timers as high as 5000 ms to support bigger/busier devices like Nexus 7018.